Died: November 21, 1969, Baltimore, MD, age 68---d. heart attack while driving his car. 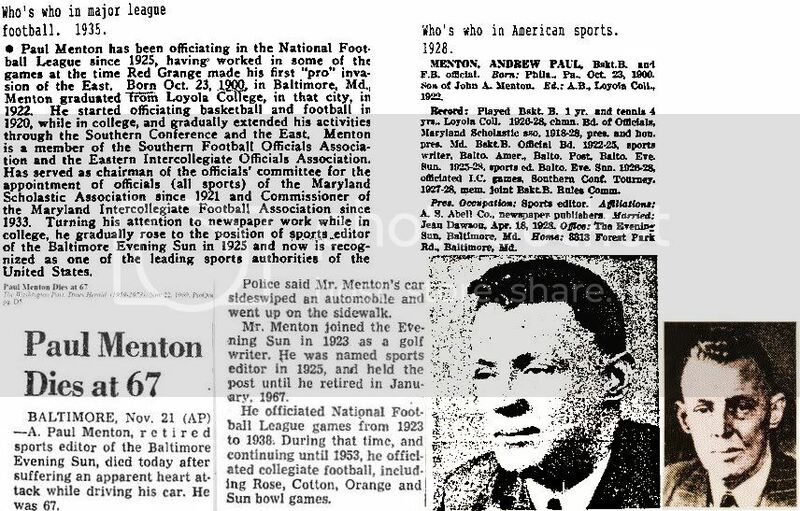 Baltimore Evening Sun, golf writer, 1923, named sports editor, 1925 - January, 1967, retired. Was a football/basketball referee for many years. Played basketball 1 year and tennis 4 years at Loyola College, 1926-28; Chairman of the Board of Officials at Maryland Scholastic asociation, 1918-28; President and honorary President, Maryland. Washington Post obituary, November 22, 1969, pp. D5. Last edited by Bill Burgess; 01-18-2014, 09:01 AM. 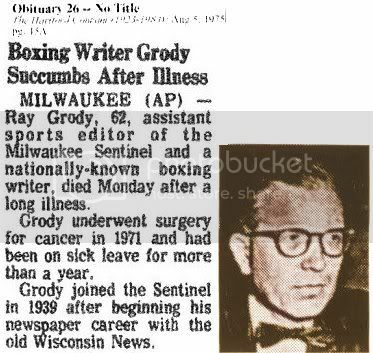 Died: August 4, 1975, Milwaukee, WI, age 62,---d. of cancer, after long illness. Hartford Courant obituary, August 5, 1975, pp. 45A. Last edited by Bill Burgess; 01-18-2014, 08:24 AM. Boston Traveler, 1908? - 1911? Washington Times, 1914? - 1925? Washington Post obituary, February 11, 1937, pp. 17. Last edited by Bill Burgess; 01-18-2014, 07:56 AM. --------New York Times' obituary, May 13, 1959, pp. 37.----------------------------Sporting News' obituary, May 20, 1959, pp. 40. Last edited by Bill Burgess; 01-17-2014, 12:13 PM. Philadelphia Inquirer, sports editor, 1942 - ? 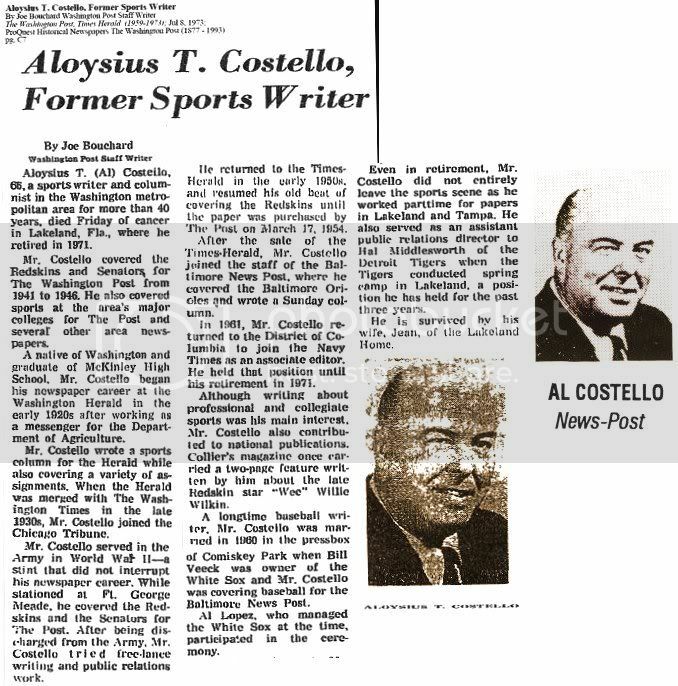 World's All Sports Who's Who, 1950---New York Times' obituary, June 8, 1975, pp. 55. Last edited by Bill Burgess; 01-16-2014, 03:24 PM. Died: August 19, 1962, Erlton, NJ, age 59,---d. at home. Philadelphia Inquirer, sports editor, 1925 - 1962. Started as a printer, then reporter, assistant sports editor, make-up editor, columnist. Mr. Webster arrived in Philadelphia from Springfield, MO in 1923. Last edited by Bill Burgess; 01-16-2014, 12:21 PM. Died: January 20, 1990, Mineola, NY, age 80,---d. in a Mineola hospital after a long illness of kidney problems. When the Giants left New York, he switched to the Mets. Left newspaper work & went to work conducting PR for the New York Islanders (hockey), and the New Jersey Nets (basketball). Parents born in Russia. Supposedly was the first to give Willie Mays his nickname, the 'Say Hey Kid'. He had been a former president of the Baseball Writers Association. UPI's Carl Lundquist delivered the eulogy: "Barney was with the Giants, the Mets, and now he's with the Angels." -------------------------------------------Sporting News' obituary, February 5, 1990, pp. 43. January, 1964: Til Ferdenzi, Barney Kremenko, Yogi Berra. Last edited by Bill Burgess; 01-05-2014, 02:42 PM. Father: Jacob, born Russia, 1878? ; Mother: Lena, born Austria, 1885? 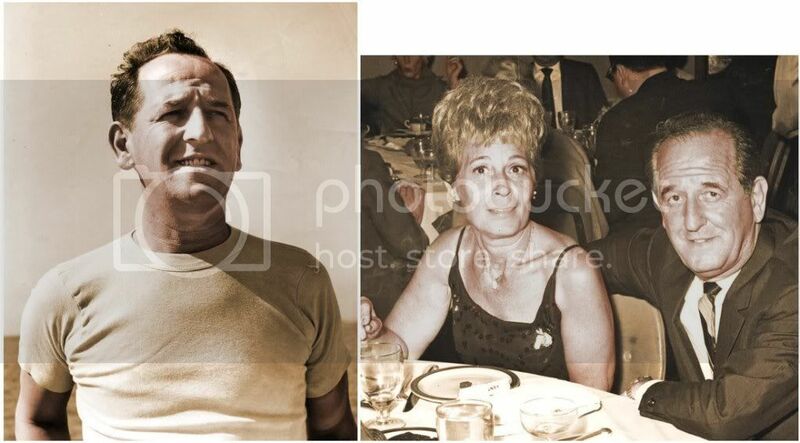 ; Wife: Alice G., born December 29, 1912, died May 19, 1998, West Palm Beach, FL. 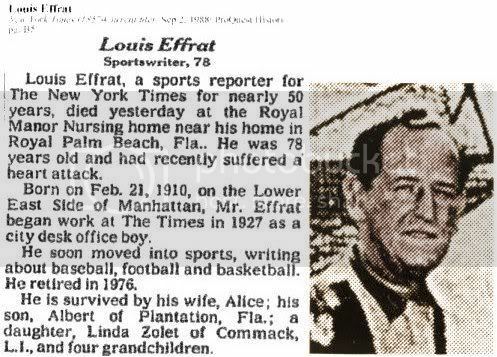 Louis Effrat was a sports writer for The New York Times. He was born on February 21, 1910, in Manhattan and died on September 1, 1988. He was employed by The New York Times from 1927 to 1976. Mr. Effrat covered the first televised sport event, a Columbia–Princeton baseball game, the second game of a doubleheader, played at Baker Field at Columbia University on May 17, 1939. 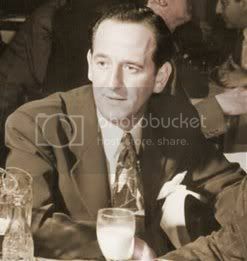 Lou Effrat was known as "The Guy With the Twist". He covered all major sports. In addition to being the swing man between the Dodgers, Giants and Yankees, he spent years as the beat writer covering first the Yankees and then the Giants. In addition to his baseball writing he covered the Knicks and the football Giants. 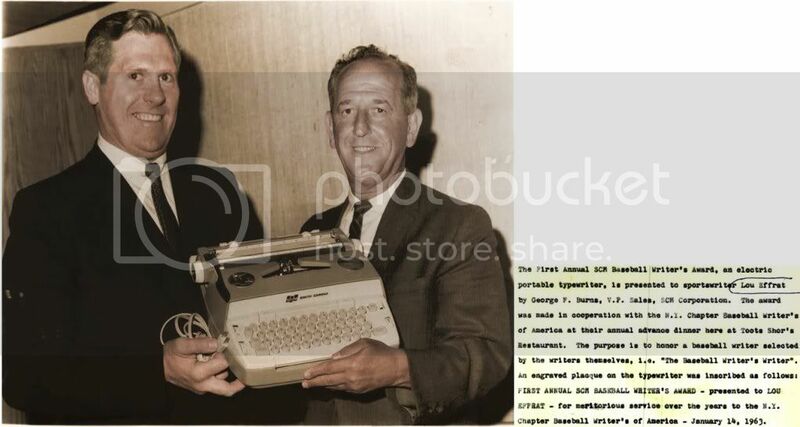 In his later years he was the Harness Writer for the Times covering a number of Hambletonian Stakes. He was a member of the United States Harness Writers Association and voted into the Harness Racing Museum & Hall of Fame in 1985. He retired to Florida with his wife, Alice, who died on May 19, 1997. February 4, 1951, NYC: L-R: Joe Trimble, Eddie Stanky, Will Harridge, Lou Effrat.--------------------------------------------------------------New York Times' obituary, September 2, 1988, pp. B5. The New York sports writers chapter is presenting Stanky with the Sid Mercer Award and Harridge with the Bill Slocum Memorial Award. Last edited by Bill Burgess; 01-05-2014, 02:17 PM. Died: April 21, 1988, Baltimore, MD, age 68,---d. in Durham, NC hospital, after an illness of four weeks. July, 1964, Cooperstown, NY, Hall of Fame ceremonies: Notice George Sisler at bottom, left.-------------------------Washington Post obituary, April 23, 1988, pp. C2. Last edited by Bill Burgess; 01-05-2014, 02:03 PM. Died: January 16, 2003, Duxbury, MA, age 91,---d. South Shore Hospital in Weymouth after a brief illness. Father: William, born Massachusetts, 1875? ; Mother: Elizabeth A., born Massachusetts, 1884? ; Wife: Arlene, born Massachusetts, 1913? ; Daughter: Mary E., born Massachusetts, 1939? ; Son: Sgt. William Thomas Cloney, III, born February 21, 1946, died September 7, 1968 in Vietnam. His home city was Milton, MA. Killed by enemy artillery, body recovered. 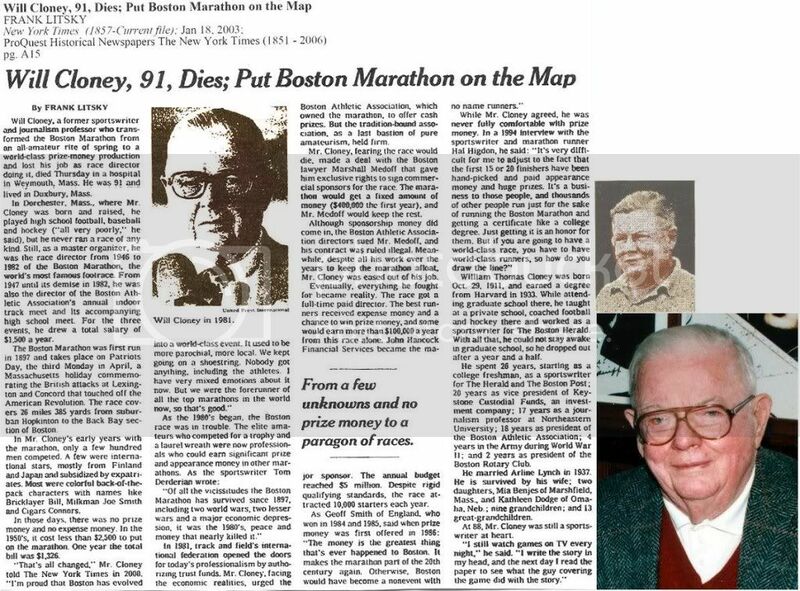 William T. "Will" Cloney ’33, long-time director of the Boston Marathon and supporter of Harvard athletics died in Duxbury, Mass. Thursday. He was 91. Cloney was the director of the Boston Marathon from 1946 until 1982 and an avid fan of Harvard football since his 10th birthday, when he attended his first game—the legendary 6-0 loss to Centre College that snapped the Crimson’s 25-game winning streak. Cloney was an honorary member of the Varsity Club, an organization whose membership is usually restricted to current and former varsity athletes. 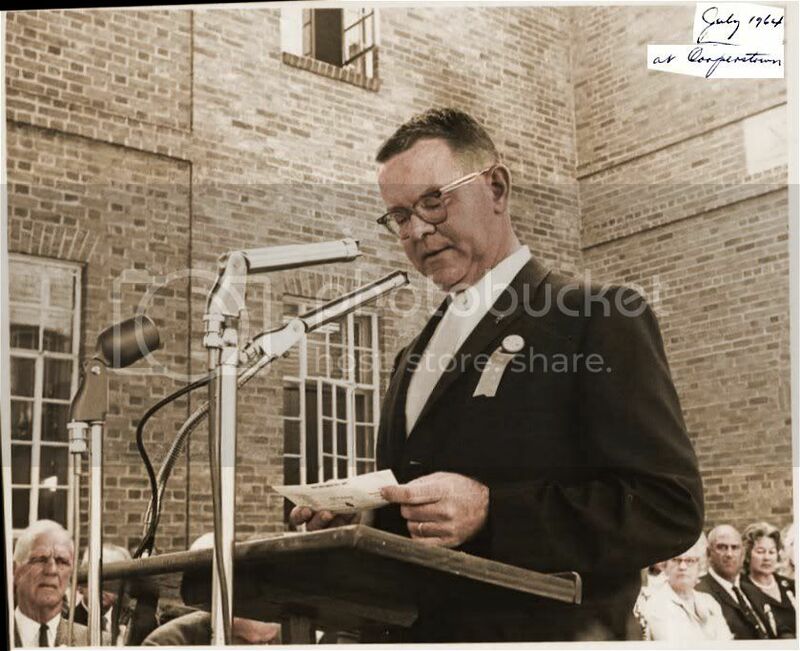 He co-founded the club’s newsletter, News & Views, in 1958, which now publishes 15 times annually. The writers’ section of the Harvard Stadium pressbox was dedicated to Cloney in 1993. Until the mid-1990s, he climbed the 123 steps for every home game. In recent years, declining health had forced Cloney to stay home—a reality that disappointed him. “Those 123 steps to the pressbox are just too tough. And I miss being at the games. A lot. But I’m certainly there in spirit and listen faithfully to just about every game broadcast. I’m furious if I miss a broadcast and have to wait until the 11 o’clock news to find out whether Harvard won,” he said in the October 2001 issue of News & Views. Cloney began a career in sports journalism when he was 17, covering Harvard football for the Boston Herald while attending Harvard. Cloney continued to work for the Herald until 1953, when he began writing for the Boston Post. In 1935, while still working at the Herald, Cloney earned a master’s in education at Harvard. He went on to teach journalism at Northeastern University from 1947 to 1953. Cloney is internationally famous for his tenure at the Boston Athletic Association (BAA), where he was president from 1964 to 1982 and directed the Boston Marathon from 1947 to 1982. Under his guidance, the marathon grew from a minor event that ran a deficit into one of the world’s premier marathons. Cloney left an indelible impression on the Boston Marathon, according to those who lead it today. “He helped shepherd the organization and the marathon through years of change and growth while striving to maintain the integrity of both the organization and its events. Mr. Cloney’s vision for the BAA Marathon was progressive in that he viewed it as a community-wide event which other marathons would come to emulate,” Guy Morse, the current BAA director, said in a written statement. Cloney is remembered for backing many of the marathon’s quirky traditions—such as the noon start time and the beef stew served at the finish. Bertagna said even when Cloney was wearing his journalist hat, his fierce loyalty to Harvard shined through. “But there was a wink in his eye,” Bertagna said. 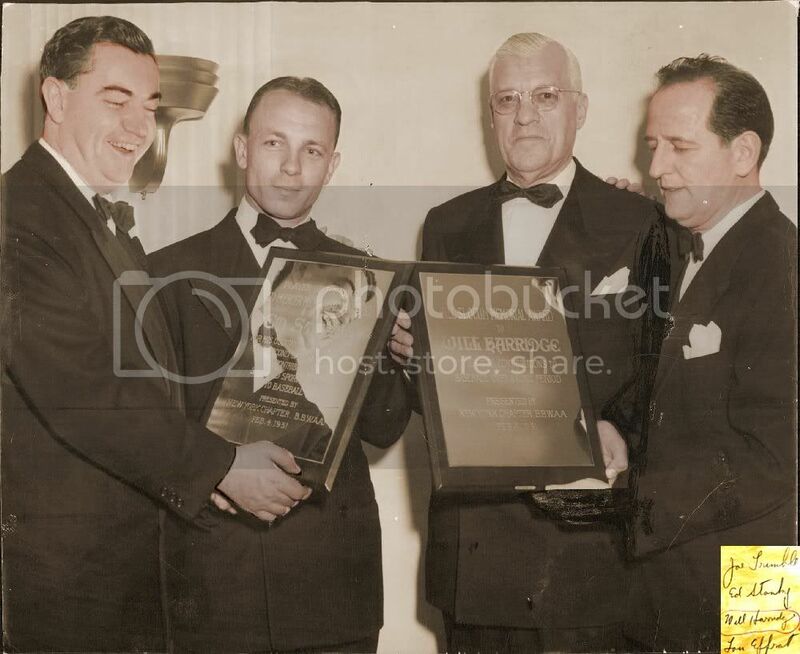 Later, Bertagna knew Cloney through the Varsity Club’s Hall of Fame Committee. Cloney continued coming to the meetings until two months before his death. Bertagna recalled how Cloney was able to keep a level tone despite the heated nature of the conversations over whom to honor. “He was a walking historical factbook of Harvard athletics,” said Bob A. Glatz ’88. A funeral mass was held Monday at Holy Family church in Duxbury. Cloney is survived by his wife Arline and two children. —Staff writer Andrew C. Campbell can be reached at acampbel@fas.harvard.edu. New York Times' obituary, January 18, 2003, pp. A15. Last edited by Bill Burgess; 12-21-2013, 12:11 PM. 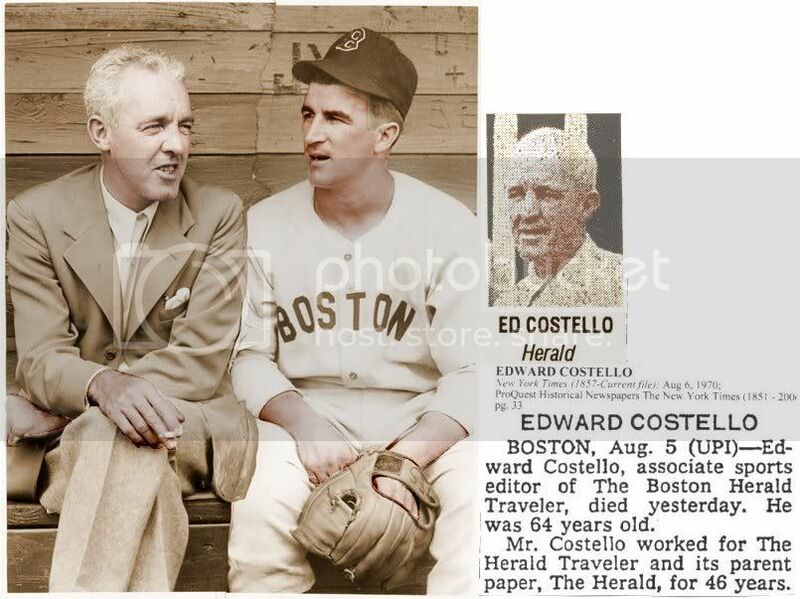 1946-1952: Ed Costello / Johnny Pesky, spring training----------New York Times' obituary, August 6, 1970, pp. 33. Last edited by Bill Burgess; 12-21-2013, 11:56 AM. Died: November 21, 1987, Lutherville Timonium, MD, age 62,---d. brain tumor at home. 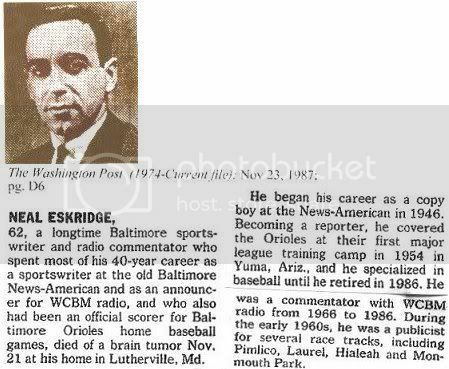 radio commentator, WCBM, 1966 - 1986, retired. ----------------------------------------------------------------------------------------------------------------------------------------------------Washington Post obituary, November 23, 1987, pp. D6. Last edited by Bill Burgess; 12-21-2013, 11:23 AM. Washington Post, Times Herald obituary, July 8, 1973, pp. C7. Last edited by Bill Burgess; 12-21-2013, 10:45 AM. Started working for the Associated Press in 1946 in its Huntington, West Virginia radio bureau, and made news editor in 1964. Senate Joint Resolution expressing the deep and personal regrets of every member of the General Assembly over the untimely passing of George A. "Gabby" Bowen. The members of the General Assembly of Maryland express their profound and personal sorrow in the passing of George A. 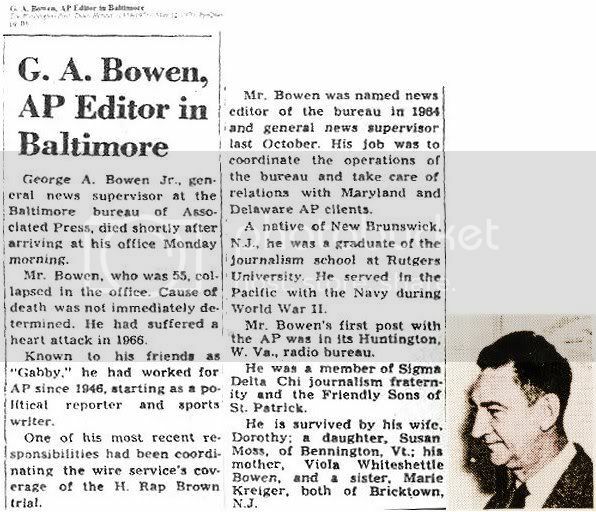 "Gabby" Bowen, for many years an Associated Press reporter with long ex-perience in Annapolis and with the General Assembly. "Gabby" Bowen was a close student of the General Assembly and its workings. Over the years, he developed a broad knowledge of State business and to a rare degree he could analyze the happenings in the State House and give to them a perceptive and understanding presentation. In personal demeanor "Gabby" Bowen was friendly, affable and always energetic and able in his work. He was a friend and confidant of all and in his passing the entire State of Maryland has lost an outstanding reporter and commentator. "Gabby" Bowen died on May 11, 1970. His death was a shock to hundreds of his friends and associates. The written and printed expressions from his newspaper associates show with clarity and poignancy the impact of his life.
" 'Gabby died Monday, and let's not have any euphemisms like "passed away" or "left us" or any of those other expressions he disdained. Gabby was George A. Bowen, Jr., and he had little use for phony phrases or phony people. That was common knowledge among a generation of politicians and athletes whose work he observed and reported. He recorded the accomplishments of the institutions, but he really covered the people who made the institutions and he did this with marvelous candor, skill and understanding. In a day when the fairness and objectivity of those practicing his trade have come under question by some in power, it must be mentioned that George A. Bowen, Jr. jealously shielded his opinion in a news story but just as jealously reserved his right to speak out in person.' "
" 'In 1942, a young man applied for a job with The AP in Baltimore. As is the custom, AP received several letters of recommendation on the prospective employee. The managing editor of his newspaper wrote: "He has been a faithful and efficient employe and I can recommend him for future success with The AP in Baltimore." Another editor wrote: "He has plenty of gray matter between his ears, common sense, and the energy to keep turning out work as long as necessary, and then a wee bit more." the final time. At 7:45 a.m. on that date, as he joked with the newsmen in the office, his great heart gave out and George Bowen died less than an hour later. "There's little to add to the many tributes already paid to Gabby Bowen. 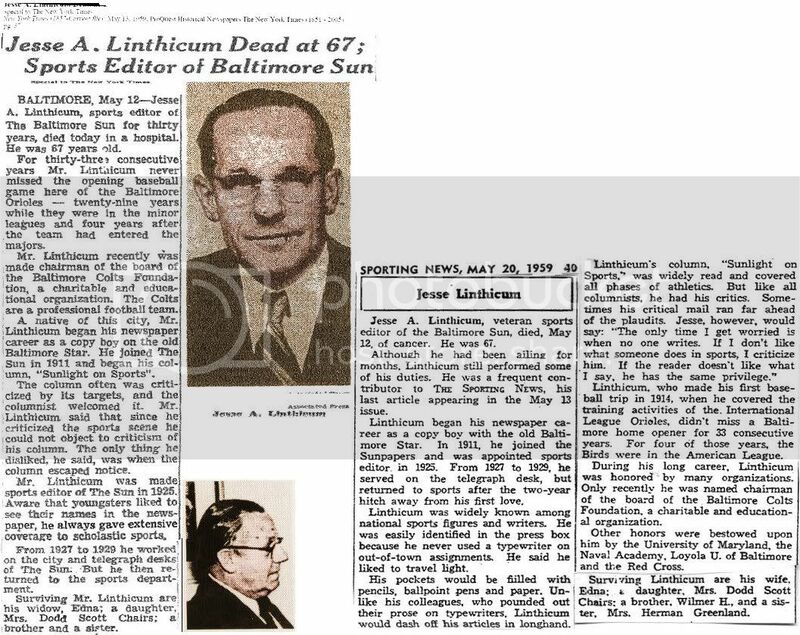 He was legend in Maryland—the acknowledged dean of political writers, the best sportswriter of them all. He quarterbacked a breaking news story with confidence and ease. And all the time, he was teaching, teaching, teaching.
" 'Gabby was described to me by one person as unique, and perhaps that is the best word. He was the epitome of a professional newsman: As an individual, he was blunt and candid and you always knew his opinion. But when you read a story on a controversial subject written by Gabby, you didn't know whether he was black or white, Republican or Democrat, liberal or conservative. Nothing infuriated him more than what he considered a slanted story.
" 'Gabby beautifully mixed the best of his worlds, his loves: his family and his job. He enjoyed coming to work, and he enjoyed going home. He was most happy when he was on the trail of a story—especially in the middle of the General Assembly. He was like a caged lion when he was strapped to a desk.
" 'Gabby will be missed. Not only because of his prowess as a pro, but perhaps more deeply because of the person he was—totally straight-forward, with a finely honed sense of humor, sophisticated and yet very down to earth, a man of class.
" 'George Bowen was not old when he died, only 55. Yet those years were years that George lived, every day. Perhaps the best memorial to George Bowen is a heritage that continues today, and perhaps will continue for many years. Rather than an inscribed stone, rather than a memorial scholarship, the effect of George Bowen's existence will continue through the minds of many newsmen across the country. These are the hundreds of newsmen who grew up on George Bowen's knee, who had to live up to his stringent demands before they made the grade. This is Gabby's heritage—a stable of newsmen trained to think and write and report stories made up of facts. And if these Bowen-trained newsmen can pass their thought process on to today's beginners, the Bowen heritage can continue even longer. I can think of no greater tribute to a man than this—his positive effect on a profession as important as the dissemination of news.
" 'George Bowen lived a full life, while giving much to the profession, and taking much joy from it. He was a pro. He was a man. He lived by Gibran's lament, "Yesterday is only today's memory; tomorrow is only today's hope." And he lived by his own words, today is the first day of the rest of my life.' "
Resolved, That the Secretary of State be requested to send a copy of this Resolution to Mrs. Bowen, and to The Associated Press. 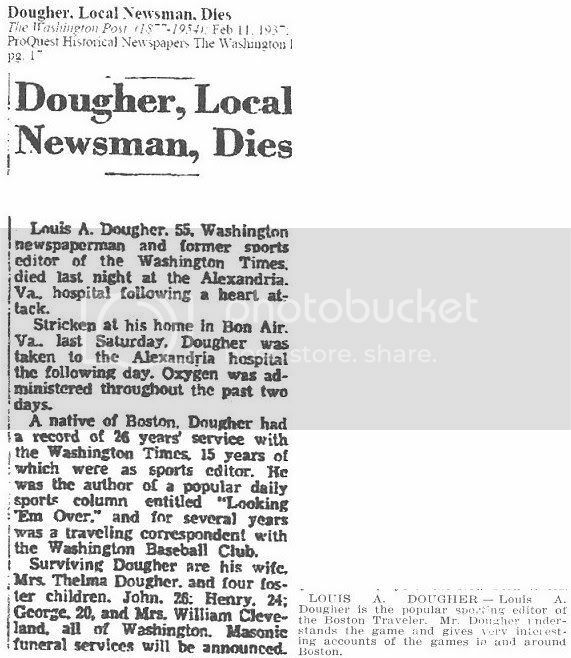 Washington Post obituary, May 12, 1970, pp. B6. Last edited by Bill Burgess; 12-21-2013, 10:10 AM. New York Times' obituary, June 23, 1971, pp. 48. Last edited by Bill Burgess; 12-21-2013, 09:49 AM.